Self-management support helps patients with chronic medical conditions such as diabetes and hypertension focus on preventive care and maintain their health at home on an ongoing basis. Today, smart mobile devices and innovative mobile applications with cloud computing has, no doubt, taken self-care monitoring/remote healthcare management to a whole new level. This emerging type of health care management is growing in popularity and is advantageous both for patients and care providers/hospitals. Largely, patients with chronic illnesses are usually under the care of several different physicians. Under this system, the whole team of healthcare professionals who care for every such patient can coordinate care. Typically, hospital visits of chronic patients are more focused on the preventive aspects of care rather than the acute or critical care and hence special care needs to be taken while planning and implementing patient visits and followup care. With mHealth technology, physicians can collaboratively plan hospital visits for such patients with consecutive appointment times for each specialist who takes care of the patient. This will help the patient complete all of his/her health care appointments on a single day. 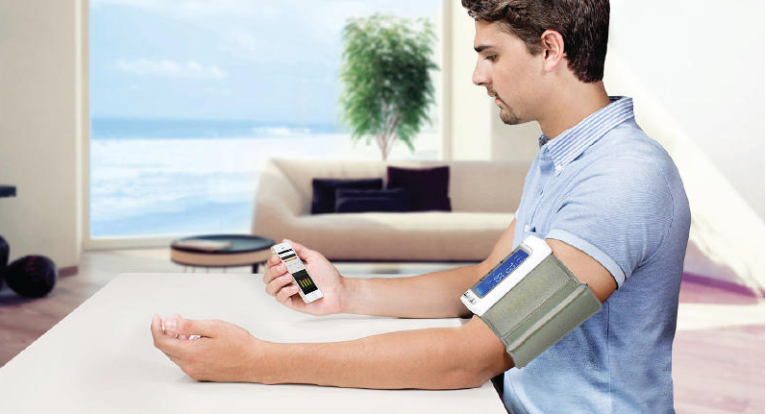 mHealth applications can also help care providers engage with patients by having customized coaching sessions about patients’ condition, viz., how to take care of a chronic illness at home on a long-term basis, how to work towards quitting smoking, following an exercise plan, etc. by sending them regular emails, training videos, or text reminders/alerts. During hospital/clinic visits by patients, the paramedics/support staff can help patients by gathering/organising their medical data before the actual consultation takes place with a doctor which could lead to improved care coordination and care outcome. They can also work with patients remotely to set healthcare goals and develop plans for achieving these goals. Once the patient is home, they can track the patient’s progress toward achieving these goals by phone, SMS, and email. In the days to come, this evolving technology is poised to bring about a disruptive change in the way healthcare is delivered to the patients and gradually move healthcare out of hospitals and neighborhood clinics to wherever patients are and pave way for improved healthcare outcomes at a minimal/affordable cost accessible to common man even at a remote village! Glad to hear that you liked the post. Please do check out our other blogs and leave your comments!! While we appreciate your comments, it would be worthwhile to take a look at the rapid advancements the IoT space has made in recent years. Today, if you notice, there are quite a number of smart medical devices available in the market that is capable of communicating through Wi-Fi, Bluetooth Low Energy, and other Android things with an App on a smartphone/tablet. If this arrangement enables the end user to receive real-time updates/analysis on his/her health condition, engage with an expert healthcare support system, or order a recurring service that ensures doorstep delivery, it surely can go a long way in empowering patients, especially the vast segment of chronically ill population who are forced to stay away from their children due to various reasons. Agree, quality of service is paramount for the success of any service!